Due to their powerful visual aspect, bridal veils are certainly one of the most important items within the bridal accessories range. Every veil in the collection is tailored to gown designs from leading designers, giving the bride a traditional yet individual look. The veils come in fancy packaging. A beautiful bridal veil from Jupon that features a floral and leaf pattern along the edging and is finished off perfectly with Strass stones. 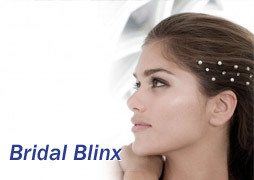 Length : 300cmAvailable in Ivory / Silver. 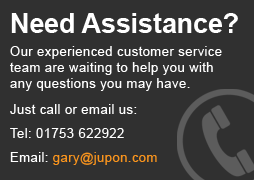 ..
A single layered bridal veil brought to you by Jupon. This stunning bridal piece features a floral pattern along the edging and is finished off perfectly with Strass stones. Length : 280cm. Available in Iv..
Jupon presents this wonderful single layered bridal veil that comes complete with a gold floral design around the edging, and finished off with glittering Strass stones. Length : 120cm. Available in Champagne /..
A lovely single layered bridal veil from Jupon. 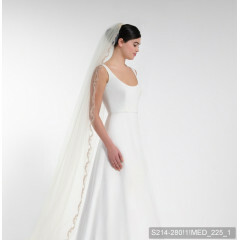 The veil comes with an intricate pattern stitched along the edging and is finished off with small shimmering stones. Length : 280cm. Available in Champagne / Rose..
Jupon brings you this stunning, double layered bridal veil. It features an attractive line of shimmering Strass stones along the edging. A subtle and classic look. Length : 80cm. Available in Champagne / Rose, ..
Jupon brings you this stunning, single layered bridal veil. It features an attractive line of shimmering Strass stones along the edging. A subtle and classic look. Length : 300cm. Available in Champagne / Rose,..
A medium length, double layered, bridal veil from Jupon. 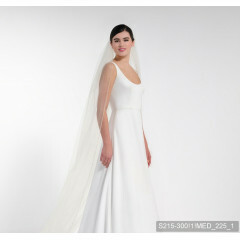 The edging of the bridal veil has a rounded design with Strass stones as focal points. Length : 80cm. Available in Ivory / Rose. ..
A medium length, single layered, bridal veil from Jupon. 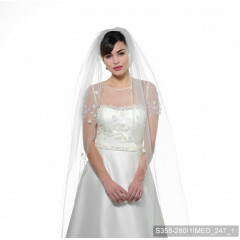 The edging of the bridal veil has a rounded design with Strass stones as focal points. Length : 120cm. Available in Ivory / Rose. ..
Jupon presents this medium length, soft bridal veil. It features an intricate etching around the edge of the veil which is dashed with glass stones and sequins. Length : 120cm. Available in Ivory / Pink. ..
A beautiful bridal veil, from Jupon, that features a subtle design along the edging of the veil which features an array of Strass stones. This veil is single layered. Length : 120cm. Available in Ivory / Pink.&..
A soft single layered bridal veil from Jupon. This veil features a branching pattern around the edging with Strass stones scattered throughout. Length : 120cm. Available in Champagne / Gold. .. 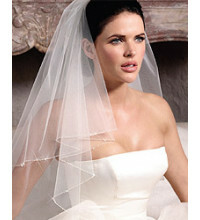 This Jupon bridal veil is made from soft tulle and features an intricate design around the edging. This is finished off perfectly with glittering Strass stones. Length : 210cm Available in Champagne / Gold.&nbs..
Jupon brings you this wonderful bridal veil made from soft tulle and is single layered. It features glass crystals, Strass stones and sequins along the edge. Length : 75cm Available in Champagne / Gold. 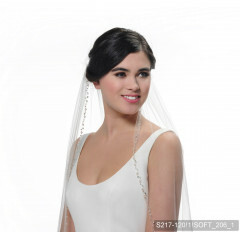 ..
A medium length bridal veil from Jupon. This veil features a stunning floral pattern throughout and has intricate stitching around the edges. Length : 120cm. Available in Champagne / Gold. ..
A long length , single layered bridal veil from Jupon. This beautiful piece has a floral design throughout and has intricate stitching around the edge. Length : 280cm Available in Ivory / Pastel. ..
A single layered bridal veil from Jupon. 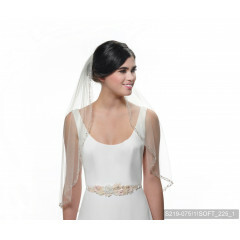 This bridal piece has a gorgeous design throughout the edge of the veil and is made of Tulle. Length : 280cm. Available in Ivory / Pastel. ..